One rotten apple can spoil the whole bunch, but what happens to one good apple in a barrel full of rotten apples? New York cop Frank Serpico found out the hard way. Based on a true story as documented in the book by Peter Maas, Serpico is one of the defining films of 1970s cinema, combining one of the decade's biggest stars with the decade's most compelling city. An honest cop who found corruption around every corner and in every precinct, Serpico could not get the leaders of the police force to pay any attention to him. Castigated and ostracized by his fellow officers for refusing to join them on the take, Serpico eventually went public with his revelations. He was shot in the face during a drug bust, in circumstances that strongly suggest other officers at the very least did nothing to help him, and at worst set him up. He survived the shooting, and his story finally forced a public inquiry into police corruption, in which he testified. 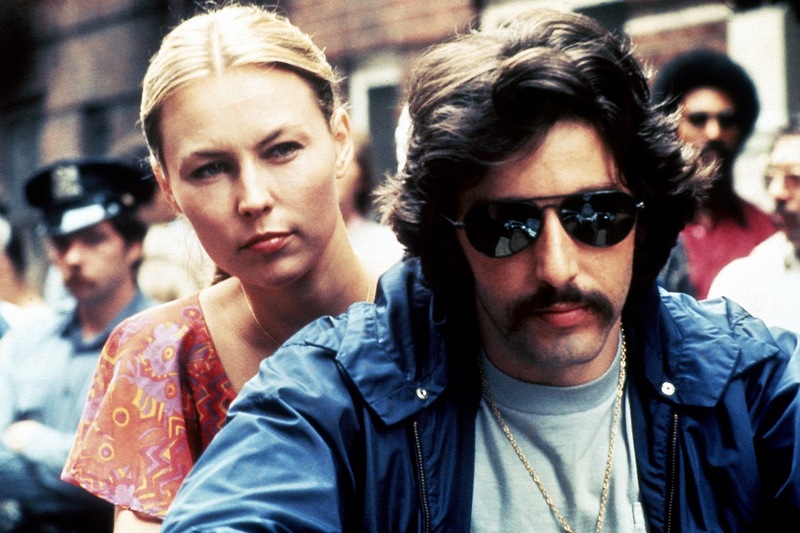 Al Pacino is hypnotic as Frank Serpico, defining the often imitated and now standard look of the ruffled, messy, frequently disguised undercover cop who refuses to play by the rules. Pacino's performance combines determination with the doubt and despair of a man confronted by an overwhelmingly powerful and established system yet refusing to yield to it. 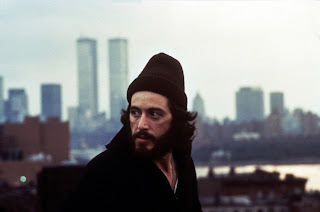 New York City has never looked more depressing and doomed than in Serpico, Sidney Lumet keeping his cameras well away from any attractive features and focusing on run-down neighborhoods, miserable buildings, and grimy streets. Lumet's New York is filled with shadowy criminals on every corner, some dressed the part and others dressed as police officers. As an adequate metaphor for Serpico's story, there is not much of a supporting cast around Pacino. The likes of John Randolph and M. Emmet Walsh are very much faceless and in the background, although Tony Roberts makes a bit of a mark as one of the few senior officers who tried to help through his connections to the Mayor's office. Barbara Eda-Young and Cornelia Sharpe as two of the women in Serpico's life both failed to translate their roles into serious movie careers. The original music score by Mikis Theodorakis is full of emotion, but perhaps unnecessarily overused early in the film. Serpico is a study of a principled man up against a rotten system in a dilapidating city, a trio that is most compelling to watch.